Last year we learned that HTC Vive was going wireless with a $220 add-on from TPCast, a startup from HTC's Vive X accelerator program. The program has struck again, as HTC has announced real-time eye tracking is coming to the Vive via a new accessory thanks to startup 7invensun. 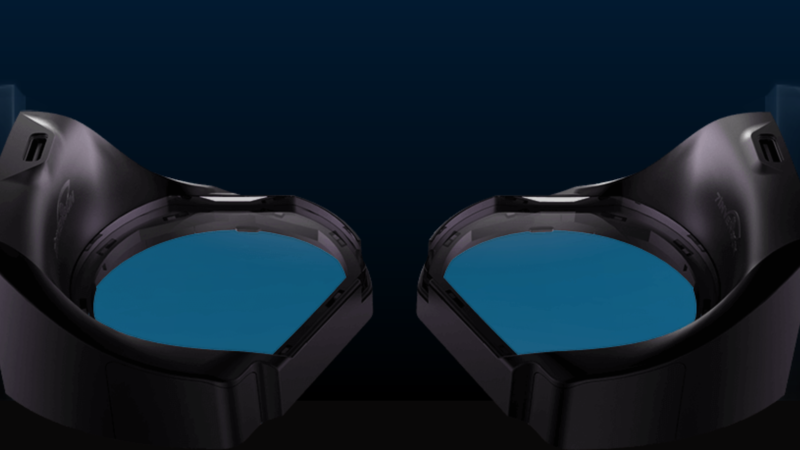 7invensun's upgrade kit, known as aGlass, will bring real-time eye tracking to all existing Vives via insertable lenses that you fit into the headset. You won't just get real-time eye control interactions and therefore much more emotional nuance in social avatar apps - you'll also get foveated rendering. Foveated rendering, for the uninitiated, only renders the things you're actually looking at in high resolution. Everything else is de-prioritized until you're looking at it, which means less of a workload on your PC. Since HTC Vive's with aGlass wouldn't work PCs as hard, it means the hardware requirements to use Vive go down, making high-end VR more affordable for everyone. Hurrah! Each aGlass kit will come with 200-, 400- and 600-degree myopic lenses. HTC also says it supports customized lenses depending on user needs. Thomas Huang, founder and CEO of 7invensun, says the company shared its eye-tracking tech with other Vive X teams, which will likely bring eye-tracking support to a slew of apps, from games to travel guides and more. As for TPCast, it's announced a new Business Edition of its tether-less upgrade kit, allowing up to six people to use VR in the same physical space. And finally, there's ObEN, which has created an integrated WeChat VR experience that kind of resembles Second Life. It'll allow all Vive users to communicate with WeChat's 889 million users with realistic-styled avatars. The aGlass kit will be available for limited pre-order starting next month for $219, while TPCast's Business Edition and ObEN's APIs will be available later this year.